It’s Words Matter Week here in Portland. 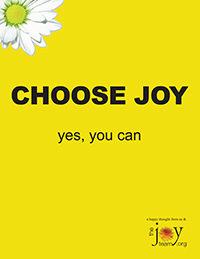 An idea created and organized by a group called The Joy Team. I love their message of positive energy and spreading joy in a very visible way. Often you’ll see their messages on big yellow billboards along the roads and highways in the Portland area. How cool is that? A group of Joy Team kids got together and created a video and it got me thinking. Words do matter. We become what we think and what we speak. What words do I need to keep in my life and bring out daily as inspiration? Words that encourage growth and spirit. What words do I replay over and over in my head that keep me stuck and afraid? And, what words do I speak that support and spread my sometimes negative and fearful thoughts? How often do I think or say “that won’t work” or “it’ll never happen”, or “I’m too old, I missed my chance to do ________”? I call it being realistic, but at what point does realistic mean unwilling to be anything other than safe? So, in celebration of words matter week, I’ve decided to explore my words – the top 5 words that support my negative/fear-based thinking and the top 5 that inspire me and make me feel good. How have these words and the images and emotions I attach to them, created the person I am? Which words have become heavy baggage that need to get tossed? Pack or toss? For sure I’m keeping YES! and BRILLIANT. Maybe MONEY goes. I’m tired of thinking about it, worry about it, trying to make more of it, feeling a lack of it, holding on to tightly to it…yep. Toss.